Custom tight-tolerance Teflon® coated wire that is totally manufactured, cut, and straightened in-house for optimum quality control has been introduced by Applied Plastics Co., Inc. of Norwood, Massachusetts. Applied Plastics’ PTFE Natural® Coated extrusion wire and forming mandrels are custom manufactured in 0.001” to 0.070” dia. sizes with final diameter tolerances of ±0.0001” to ±0.0005”, depending upon diameter. 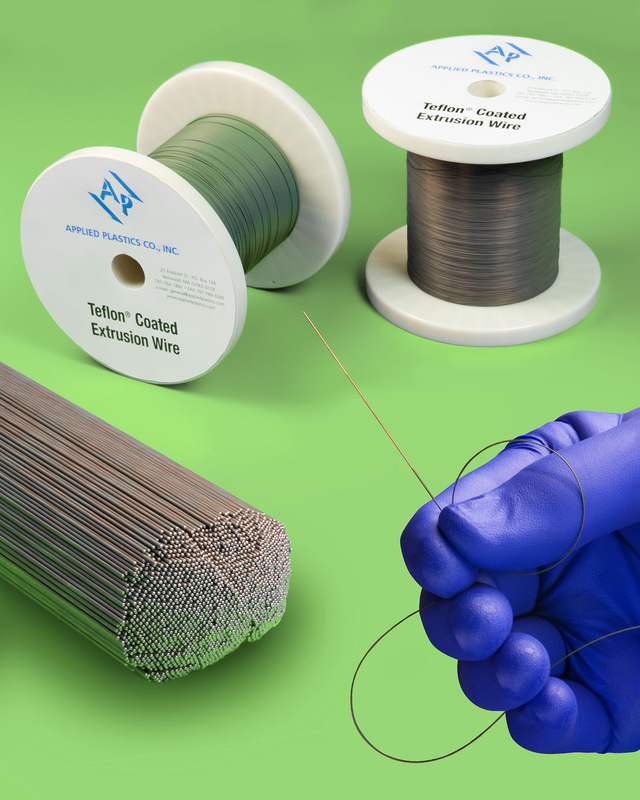 Suitable for core wires, guidewires, stylets, and mandrels, these non-flaking coated wire products can be cut to length and straightened from 6” to 20 ft.